We are pleased to inform you that Tim Froome has now relocated at Mid Wales. He would like to hear from anyone interested in his Services. 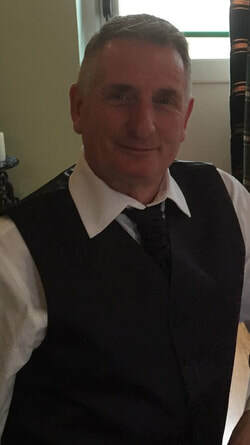 Tim looks forward to hearing from some Spiritual Churches and Spiritual Centres in Wales. Also available for Private Group readings, please contact me for availability. What is a group reading? A Group reading is a private reading involving three to six people where I spend the evening or afternoon with them all as a group. I find that working with a group is much better than a one to one. Working for spirit in love and light / Helping people with Haunting's. Please note a part of my earnings through venues is Donated to Charities. (Please refer to My Donations to Charity Tab). Details of further shows/events will be updated shortly, please see my Events page. Thank-you for all who attended the show at Newtown in Wales I think your agree it was a wonderful evening with a great atmosphere. Please feel free to leave your comments. 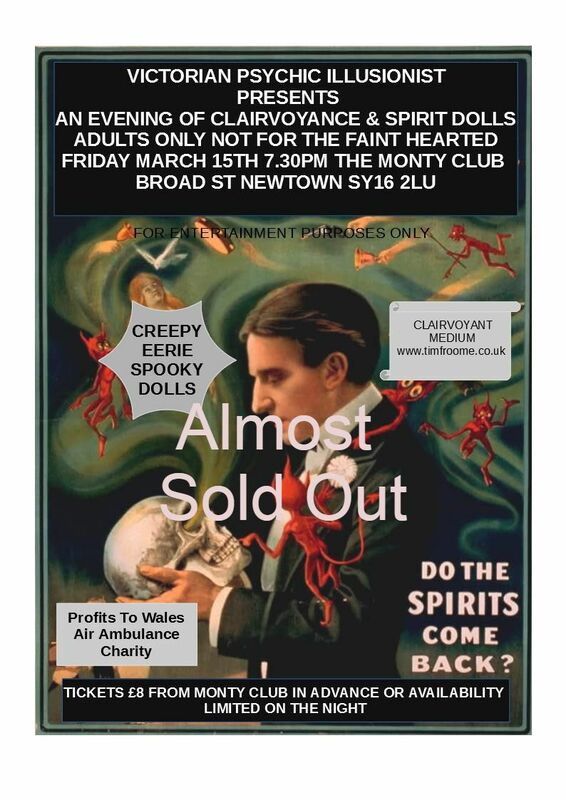 Come and see Tim with a evening of Clairvoyance & Psychic Illusions Working with three spirit dolls and a spirit Mirror. To all who attended and supported the Evening of Mediumship and Clairvoyance. Lots of people and lovely atmosphere which helped with Spiritual Connection. We managed to raise money for Kent Air Ambulance and to help the cost of running this website.